Each and every Android phone has its own Wi-Fi MAC (Media Access Control) and Bluetooth address. They are 16-digit characters containing both numbers and alphabets in it (e.g. 84:8e:cf:f0:8f:5c). They are unique for each phone and can't be changed in any way. 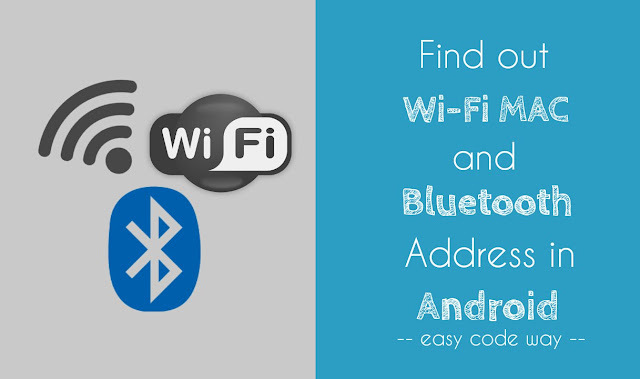 The basic use of Wi-Fi MAC and Bluetooth address is that, they are used to connect between two or more devices. For example, when you pair two devices with Bluetooth, then both will find and connect with each other by searching their Bluetooth address. Sender will send the file to recipient only and this was possible only because of Bluetooth address. Otherwise, it may send the file to the unknown device by mistake. 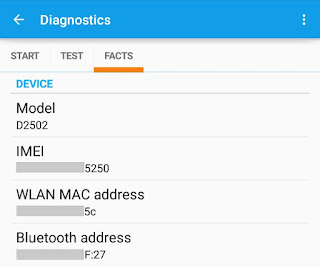 In the same way, when you use Wi-Fi or Hotspot feature, other devices will detect and find your device with your Wi-Fi MAC address. Thus there is no confusion in which device to connect with. In most common cases, devices will automatically search, find and pair with each other. But in some rare cases, you've to add these Wi-Fi MAC or Bluetooth address manually in order to complete the paring process. For example, in open Wi-Fi connection (such as in cyber cafe, school, college or mall), devices will automatically connect and pair. On the other hand, in some private connections, you need to enter these addresses manually for security reasons so that no other person can steal your private information. First of all, go to "Settings". 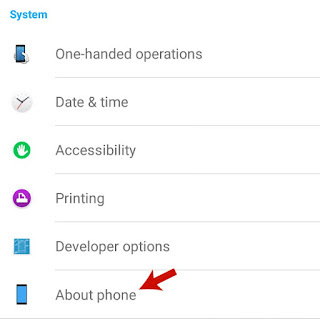 Now scroll down and click "About phone" option. After this, click "Status" option. Now move to "General" tab. Here you'll find your Wi-Fi MAC address. Either write it on paper or long press to copy it in clipboard. For this tutorial, I had used Android Lollipop version screenshots. Although steps are almost same in other versions also. If it returns an unknown value, simply turn on the Wi-Fi or Hotspot connection and try again. Note that, please don't share your Wi-Fi MAC address with anyone for some security reasons. Always keep it in safe place. 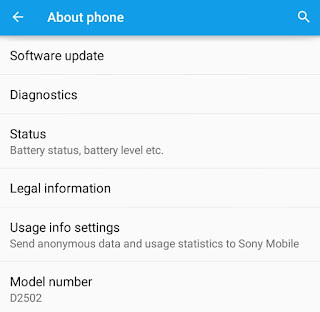 Scroll down and click "About phone" option. Now click "Status" and move to "General" tab. Here you'll find your Bluetooth address. Tap and hold it to copy it in clipboard. Note: Make sure that your Bluetooth is turned on otherwise, it may show you unknown value. And remember that, don't share your Bluetooth address with anyone. 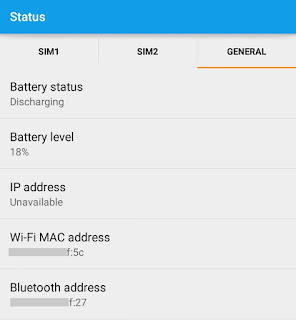 Apart from this, there are a couple of Android apps available on Google Play Store for free which can help you to find out your Wi-Fi MAC and Bluetooth address easily. But why to waste your mobile data and phone memory in installing them when we've other official and in-built tools. So use these methods only. If you're facing any problem, please let me know in below comment box. I am always here to help you. Stay tuned for more interesting tutorials. Where you're going to use these addresses? Hi. I bricked my Lenovo A516 while flashing it. now it won't power on. if I am able to unbrick it, the WIFI and Bluetooth address be there again or do I need to manually write it? I don't have a copy of the original Wifi and Bluetooth address. Is there any other way to get that info? thanks.